AFO1H offers CONVENIENCE along with Value, Service, and Selection. That’s why we incorporated a full-service optical lab into our practice. 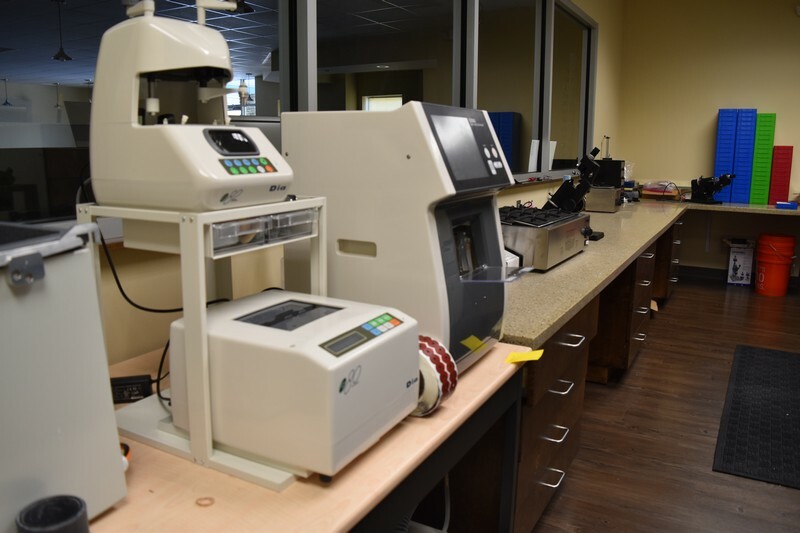 Our lab is state of the art technology and is capable of producing and filling any eyeglass prescription accurately and quickly that meets or exceeds national government standards for quality and precision. Most prescriptions can be filled within one hour to same day without sacrificing quality or precision. Most people have bought into the myth of having to wait 2 weeks for eyeglasses. Most practices tell you this because they send their orders out too large, industrial, wholesale labs to be processed. These industrial labs fill thousands of orders a day and although it only takes a few minutes to process and complete the prescription, the long wait times for the consumer is mainly due to the fact that their job is in a long que behind thousands of other jobs waiting to be fabricated. 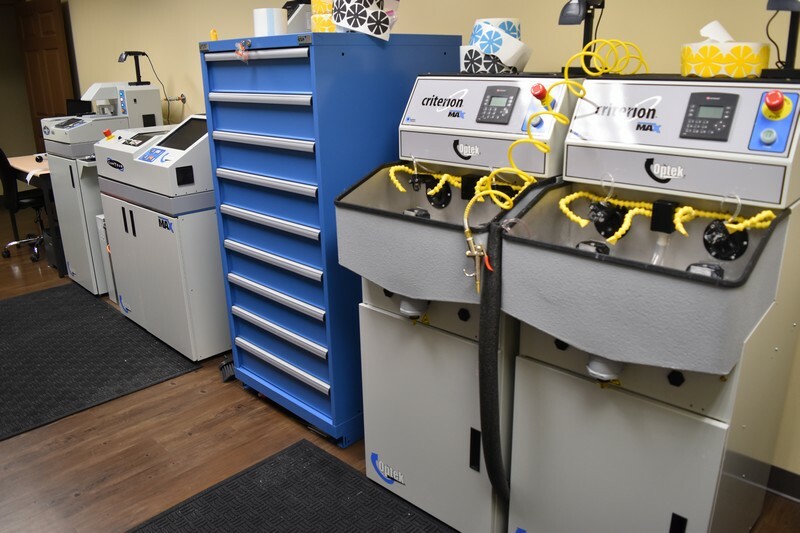 The retailer or practice will have you believe the long wait time is due to a long, laborious, and highly technical process when in reality it only takes a few minutes for today’s technology to fill your prescription to high tolerances for quality and performance. 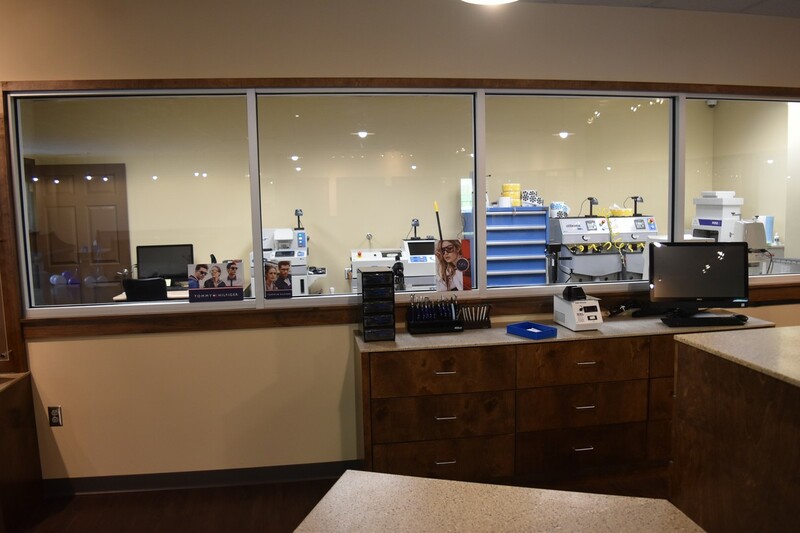 The convenience of an on-site full service lab simply means the consumer can come into the practice, have their eye exam, select their frames and lenses, pay for the order, and either stay and watch their order being filled, or go out to nearby shopping and restaurants and wait for a text you once your order is complete. Come in, pick them up, make sure everything performs to your expectations, and leave with your glasses. All in the same day! There is a low processing fee for 1 hour to same day service. In fact, this level of service combined with our value package pricing means you pay the same price for 2 pair of spectacles with us for about the same price as 1 pair anywhere else, and leave with your prescription eyeglasses the same day. Call or Schedule your appointment today!